Butterfly Kyodai is a fascinating puzzle game that does not only feature wonderful, dreamy graphics but also challenges your thinking and your perception. The objective of the game is remove all tokens from the board by connecting two matching tiles. Connections can be made either in straight lines or with up to two turns. If you manage to clear the board you can move on to the next of the 12 stages. These stages get harder over time and tease your brain even more. The faster you manage to clear them, the higher your score will be. Will you manage to go through all of the levels? 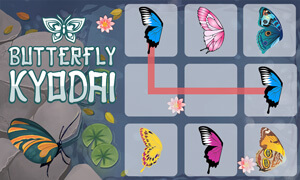 Play Butterfly Kyodai now for free and enjoy the fantastic puzzle game experience! 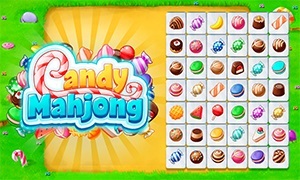 Play Candy Mahjong game for free. Enjoy more digital board games with your family and friends. Can you beat them all? Let's find out.